gabby sews: Subscription Kits Available! I love subscription kits and I love the Cut Above Kits that CTMH has - anything that gets those scrapbook pages done faster is awesome in my book! Well...CTMH has now combined the two! 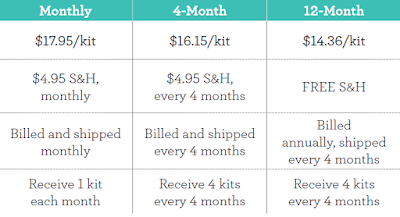 I've ordered the year subscription and plan on creating videos to show you how to put each monthly kit together. Keep your creativity flowing with Close to My Heart’s new Craft with Heart subscription, where you receive regular deliveries of project kits that will keep you connected with your passion. The Craft with Heart subscription sends you a Cut Above layout kit for every month. Each kit comes with pre-printed base pages, paper pieces, die-cuts, and stickers to make two two-page scrapbook layouts - that's four pages total, plus the kit includes three 12" x 12" Memory Protectors! Take a look at the layouts included in the upcoming box. 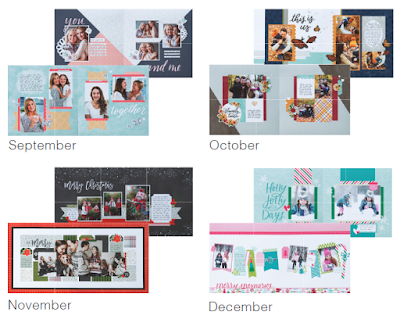 What a great way to get some beautiful pages done and in your photo album quickly! You can see bigger photos and more info HERE. You have 3 Craft with Heart subscription options depending on how often you want to receive your deliveries. Note that only the 1-year subscription is available for pre-order now. The other options will be available on Sept. 1, with the release of the new Idea Book - wait until you see the new idea book! 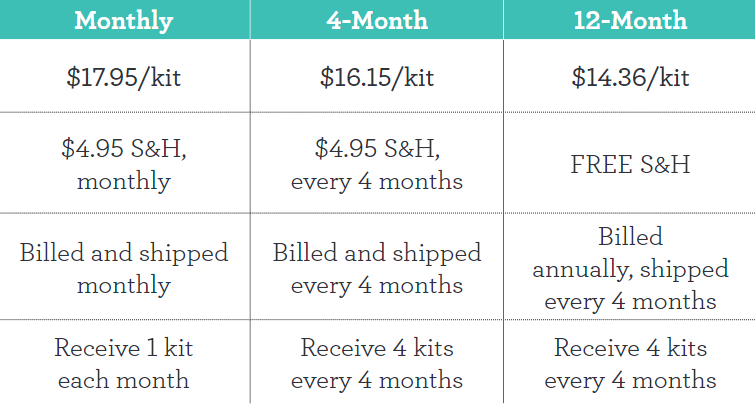 I think the 12-month option is definitely the best deal due to the lower price for each kit and the free shipping. This option also includes free 4x6 prints from Persnickety Prints! Note that the Craft With Heart subscription does not work in conjunction with the stamp of the month or Hostess Rewards. In order to give you these awesome discounts and free shipping, it is its own stand-alone program.